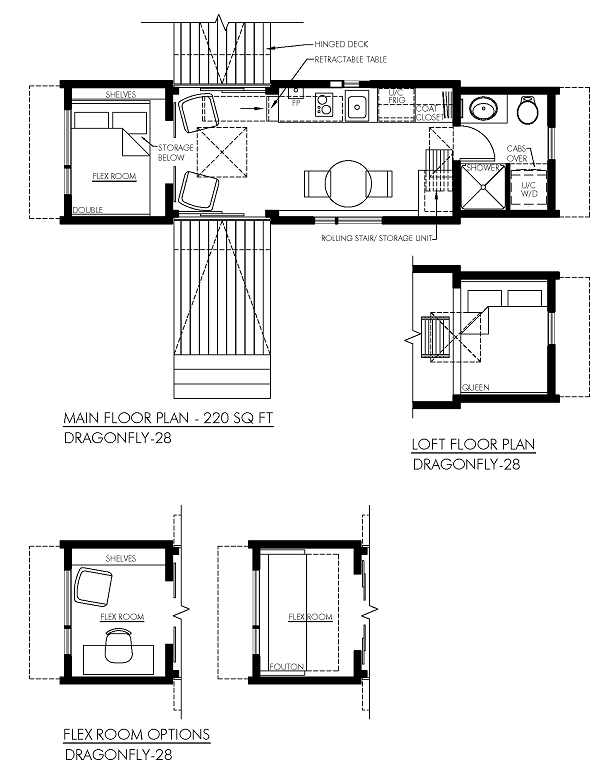 The dragonfly is a small yet unique insect, and we drew inspiration from its tenacity and imitable features. 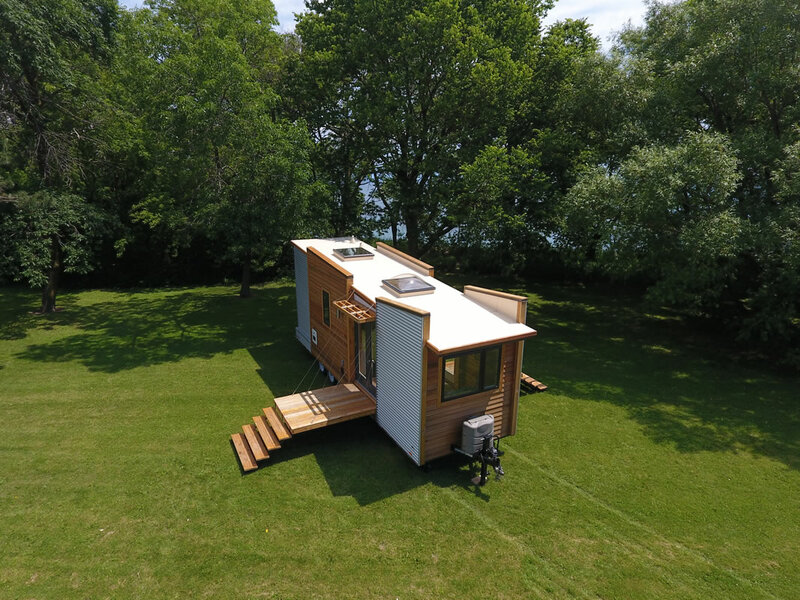 As such, Utopian Villas’ Dragonfly model is a small, yet distinctive tiny house. 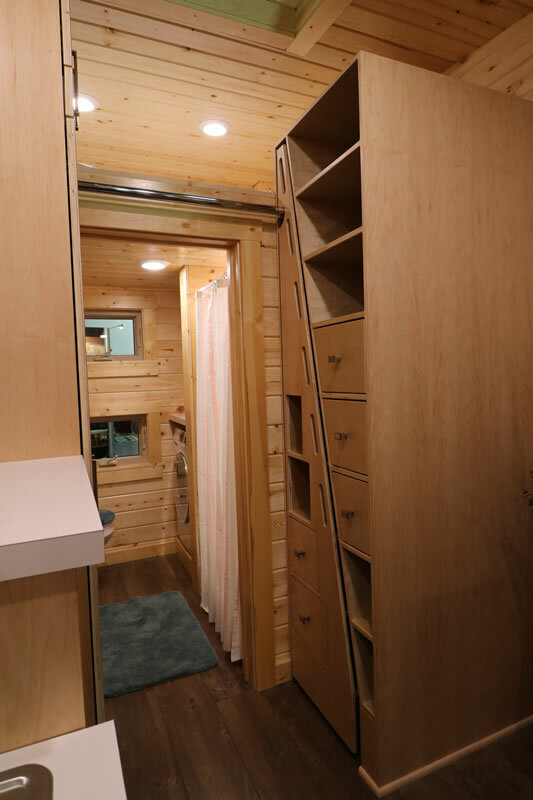 The Dragonfly travel trailer tiny home is eye-catching and interesting looking, with all the best amenities. 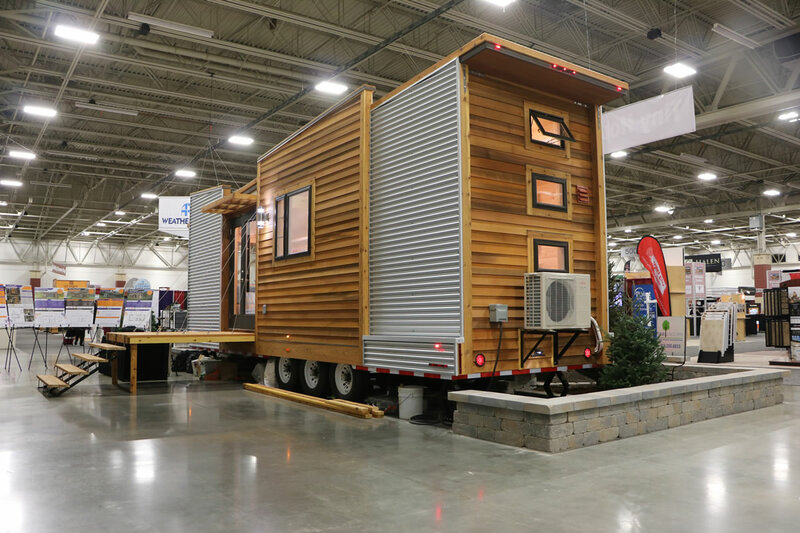 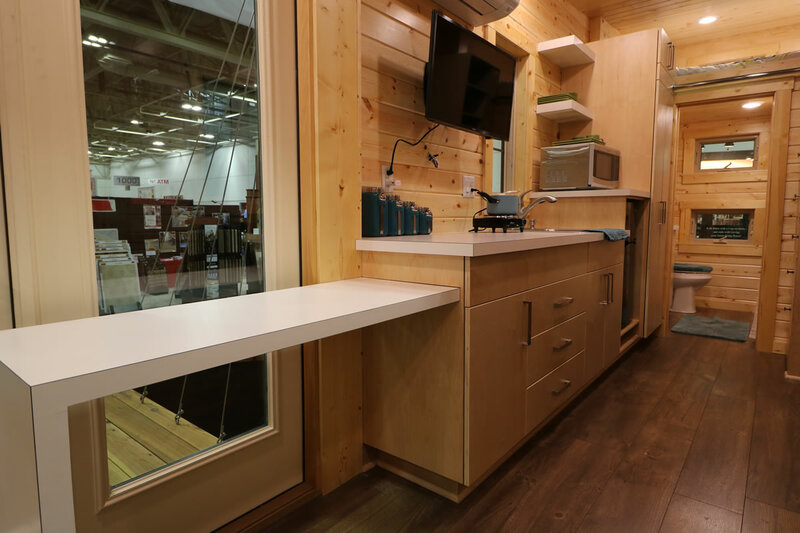 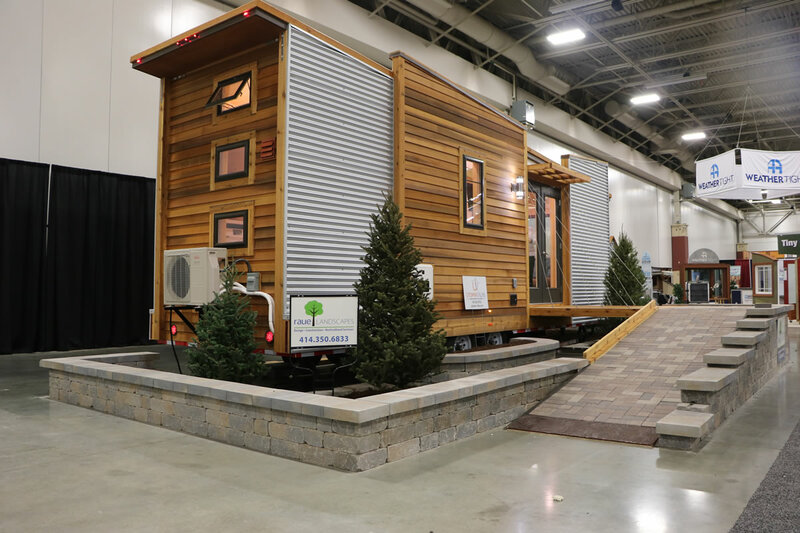 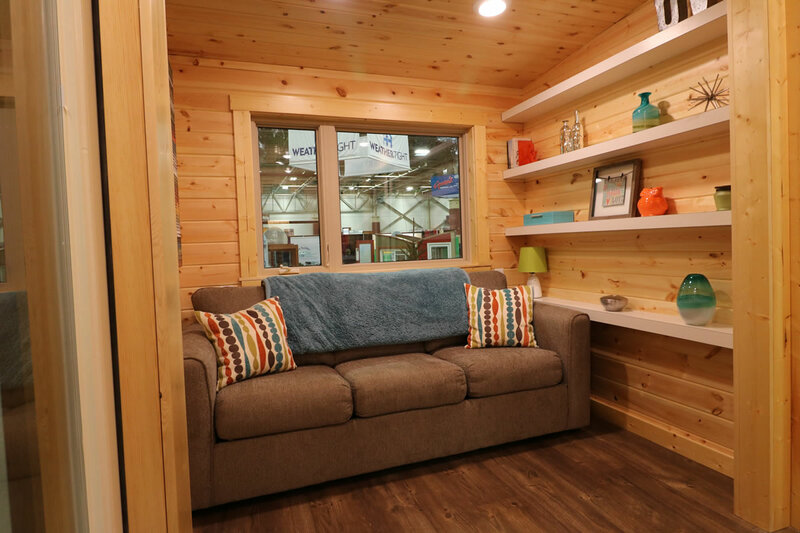 Exterior features of this tiny house model include drop down decks and a fascinating, one-of-a-kind roof design. 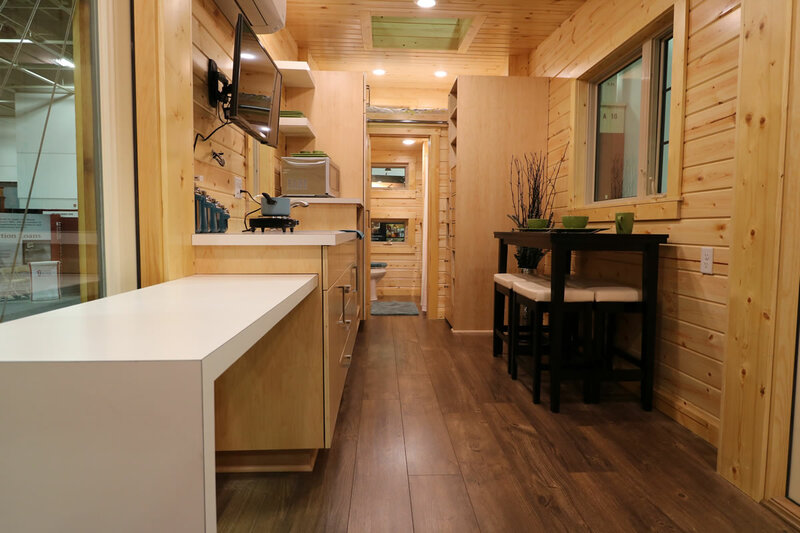 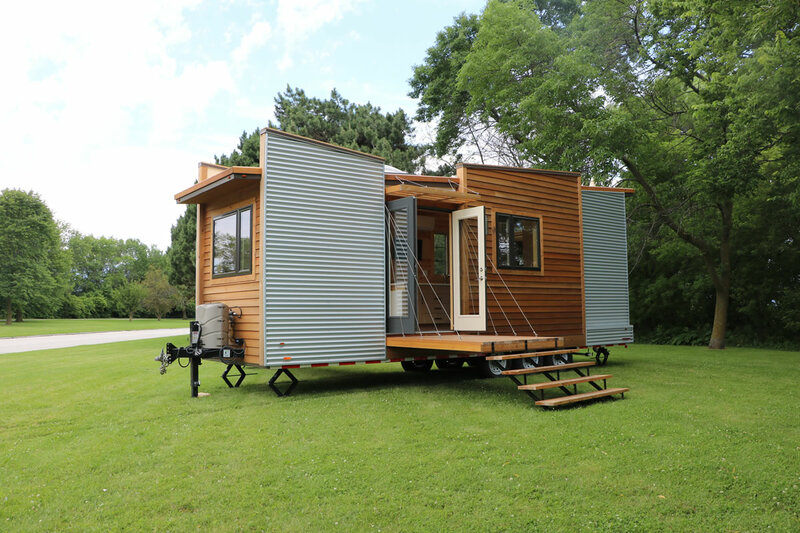 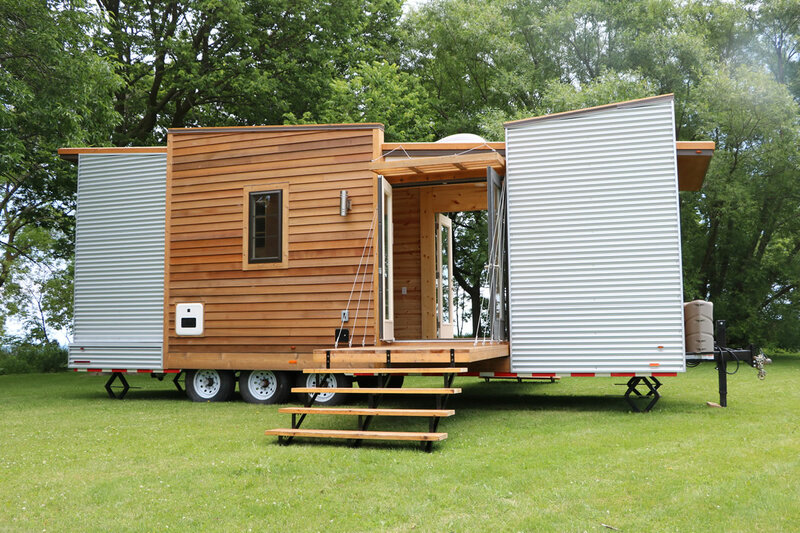 It is a 220-square-foot luxury tiny home, and it offers all of the facilities and conveniences you need for living comfortably, no matter where you are. 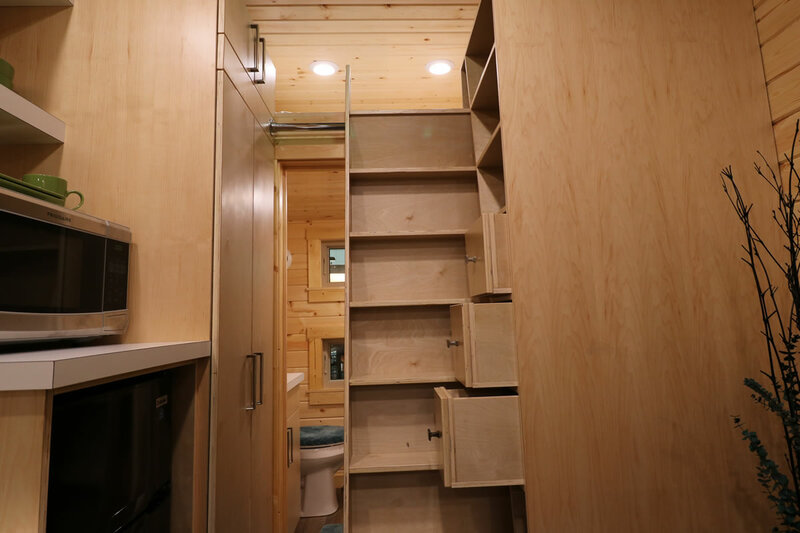 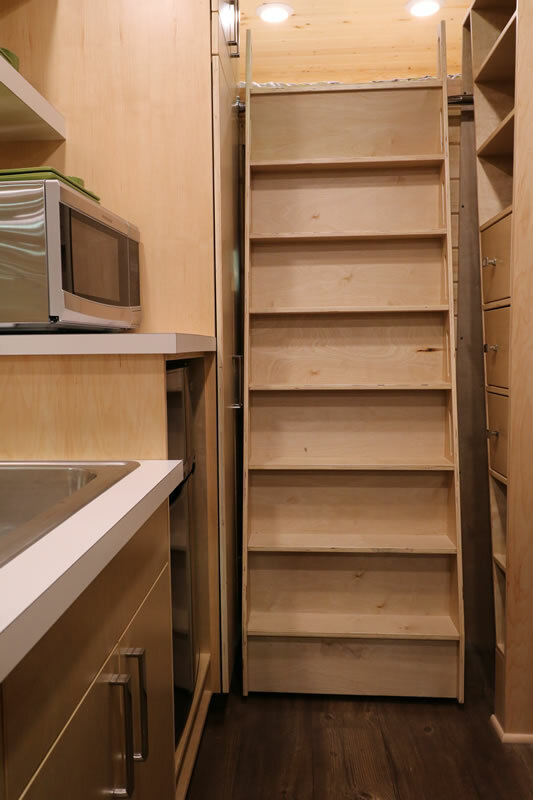 Custom storage options provide optimal space for storing everything you need, and there’s room for comfortable sleeping for up to three adults. 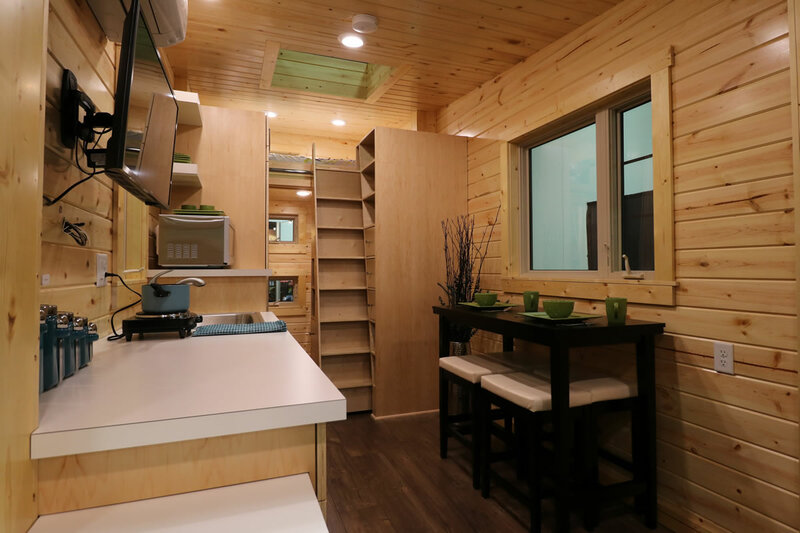 The Dragonfly tiny home from Utopian Villas features a standard-sized bed in the spacious, loft bedroom, as well as a pullout couch in the living quarters. 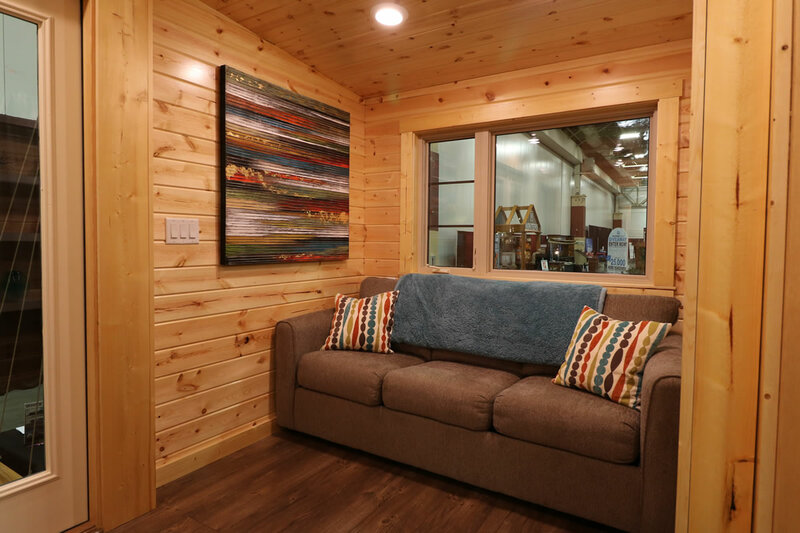 You’ll fall in love with the custom, hand-crafted cabinetry and modern décor throughout. 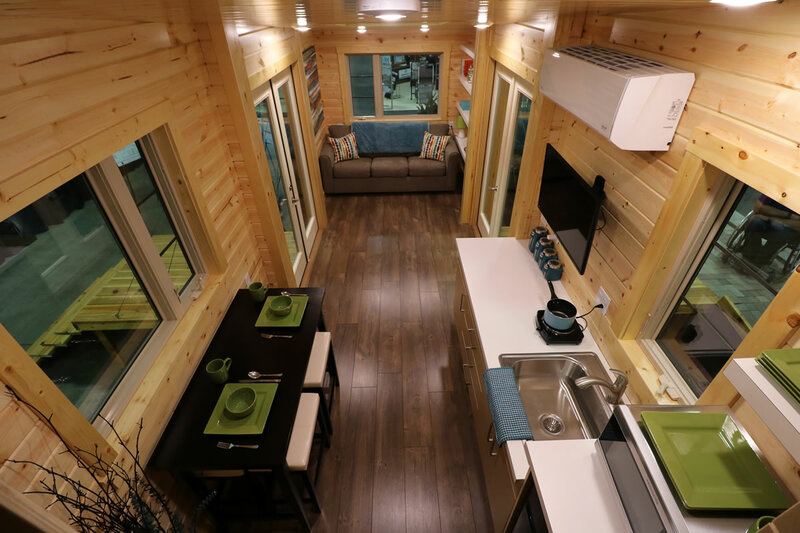 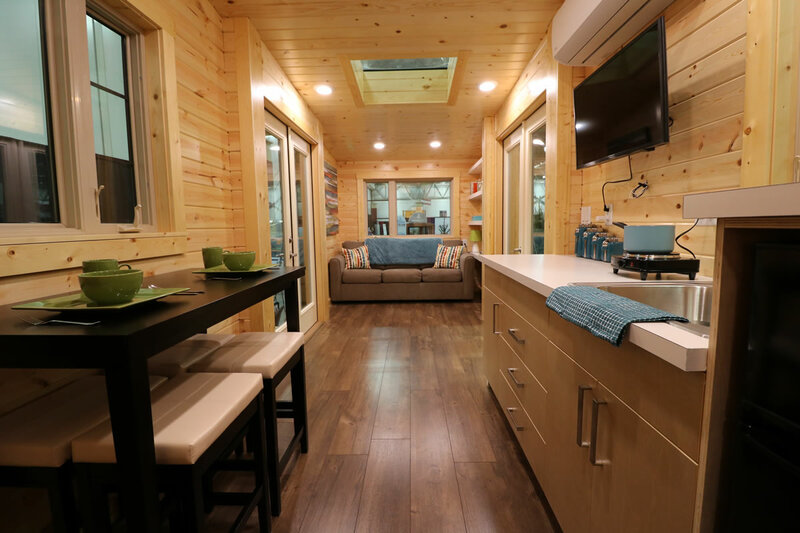 The Dragonfly tiny home is designed to help you take advantage of natural light, which is why there’s a plethora of windows to let the sun into every part of the interior. 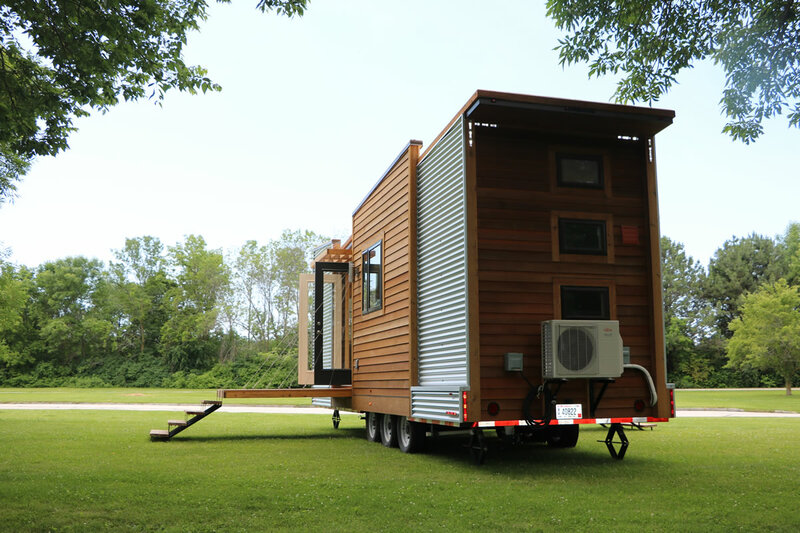 You can enjoy the outdoors from anywhere!